* Problems aren’t to be dwelled on, they’re to be solved. JENS advocaten’s approach is informal and transparent. We specialise in (strategic) advice, (legal) assistance and guidance in the areas of employment law, pension law, contract law and corporate law. 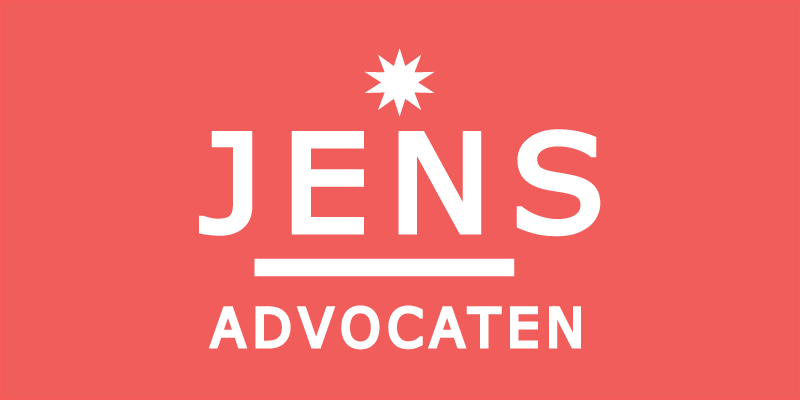 To JENS, providing high-quality legal assistance is not a goal, it’s a minimum requirement. We speak clearly and understandably, we have the courage to navigate uncharted waters but above all we always have your best interests at heart. As every business has its own culture and structure, your identity and specific interests also play a major role in our approach and the advice we give. JENS knows its clients and the sector through and through. From the sidelines, it can be difficult to get a concrete picture of how lawyers spend their time. Below is a number of examples of ongoing or recent cases involving JENS’s legal professionals. Legal audit: A company asked us to perform a legal audit of their contracts and data. They had a great deal of outdated documentation. We helped the company by providing a new set of general terms and conditions and a personnel handbook, amongst others. Exit clause for a director: Provision of advice and legal assistance regarding an exit clause to a board member who wanted to know if the severance pay had to be ‘topped up’ to the maximum loss of income until pensionable age and how this loss of income must be calculated. Collective labour agreement: Advice on whether it was possible and feasible that a sectoral collective labour agreement no longer applied to a particular part of an organisation. Non-competition clause: Provision of advice and assistance (during preliminary relief proceedings) to a number of employees regarding the explanation, content and legal validity of a non-competition clause. Reorganisation: Advice during a reorganisation progress to which the WMCO (Collective Redundancy (Notification) Act) applied. Consultation with trade unions and the works council. Formulation of documents such as a request for a recommendation from the works council and the redundancy package. Transfer of undertaking: Representation of a trade union during legal proceedings to determine whether a transfer of undertaking applied. Works council: Provision of assistance and advice to a works council during a reorganisation process involving a request for a recommendation. Business closure: Provision of comprehensive advice and guidance to an entrepreneur during the closure of a factory in the Netherlands. Dismissal procedure: Representation of an incapacitated employee whose employer wanted to fire her during her sickness absence. Following a successful defence by JENS, the judge ruled that her employment contract could not be terminated. Companies can greatly benefit – financially and otherwise – from hiring a JENS professional to provide in-house courses/seminars on – for example – employment law. These kinds of in-house courses can really save you money. For a single all-in rate, multiple HR officers/managers can take the course. You also save more by having us conduct the course at your office.